This Marbella Family Real Estate page is for families looking for a great holiday rental or those considering a second home or permanent relocation to the Costa del Sol. We receive questions and feedback from thousands of families each month considering a move to the region so we've put together this assortment of handy links and get you on your way to making the right decision. If you're looking for a tradesmen in Marbella, check out the growing list of family recommended service providers in our section on Tradesmen in Marbella. Vacation Marbella offers luxurious and well located properties in Marbella for the perfect family holiday. Furthermore, they can assist you with any of your holiday needs, from airport transfers to exciting tours and excursions throughout the Costa del Sol. Sun marbella offers property owners a safe and reliable partner to rent and manage their holiday homes in Marbella, also providing holiday planners with total customer care in preparing for their anticipated family trips to Marbella. MS Property specialises in short and long-term Marbella family real estate rentals ranging from small apartments to large villas. Owned and operated by local family residents, they come highly recommended by families looking for quality rentals near the beaches in Marbella. So, where is the best place for families to live in Marbella? The starting point is to firs ask yourself what lifestyle you are looking for. Some absolutely want to be walking distance from the beach, while others imagine themselves nestled in the hills with a view of the Mediterranean. The prices of Marbella family real estate vary based on what your personal needs are. Generally speaking, you will find larger properties for your money the further away from the popular beaches. That's not to say that the mountains are necessarily inexpensive by comparison, however, you will find a greater selection of options of larger properties. If you're not sure which type of property you are interested in, read more information about the Pros & Cons of Property Locations, below. Do you have a question about Marbella family real estate or other properties on the Costa del Sol? For answers directly from the community, use our Ask a Question feature. We'd be glad to put it out to the local community for you so you can get answers directly from locals who have lived or vacationed in the area for years. One consistent message we have heard from nearly all families is: DON'T RUSH into things! While it is true that there is more activity in the market this year, keep in mind that there are many, many properties in Marbella and anyone who says something to the contrary may not be acting in your best interests. While it is true that supply fluctuates, particularly during the peak summer months, you will generally be better off by taking the time to understand and experience the various neighbourhoods, school options and differences among them. If you are not families with the area, find a friend, agent or company you trust to provide you with objective information of the market and the pros and cons of each neighbourhood. Below are some recommended agencies that we've been in touch with which have a family-focused orientation on Marbella. Jackson Grundy has been established in the UK for over 20 years and has a local team permanently based in Marbella. The company's Director General has his own home here and offers a wide range of property options from apartments to villas. The Benahavis Hills Country Club offers rustic contemporary villas have been architecturally designed and upgraded to the highest specifications with spacious interior living areas of up to 757 square meters. You'll find infinity pools, garden areas, designer kitchens, hydro massage baths, en-suite, underfloor heating and more. The Property Finders offers a service recommended by families in Marbella who are not sure about which location is just right for them. This is a good place to start if you are considering an investment but need expert advice on the best options according to your need. Alcantara-Estates has been established in Marbella since 2004 and focuses on beachside properties between San Pedro and Puerto Banus. If you're specifically focused on homes or apartments in this area, this agency offers detailed insight on this increasingly popular locale. Location Moves Properties offers a property finder service for a flat fee which provides clients with an analytical overview of the properties under consideration as well as historical information which could improve the negotiating position of a buyer. De Napier Property Services is a British-owned and operated company for property owners who own real estate on the Costa del Sol but live outside of Spain. Established since 2002, the company is among the longest-serving property management brands in the region. Shutters in Spain is where you turn when you are looking for high quality window treatment, professionally installed in your home, apartment or business in Spain. 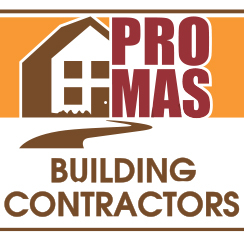 ProMas Building is a recommended construction company in Marbella with over 20 years of experience. They also offer both interior and exterior design, providing guidance and assistance with help from their top architects and designers. WoodFactory manufactures high-quality Dutch wooden furniture that is naturally beautiful, extremely durable and perfect indoors or outdoors, with an amazing selection of children's furnishings. MS Servicios is a highly recommended local contracting company that offers turnkey refurbishment and construction services on the Costa del Sol. They speak fluent English and offer surprisingly affordable prices. Advasol﻿ installs pool fencing systems suitable for private homes, holiday villas and communities to insure children are well protected from the dangers of falling into an unprotected pool. Balconseguro.com offers the best protection nets for balconies and windows. A certified system that will allow you to make the most of open spaces without fearing accidental falls. Perfect for children and pets, also a very effective anti birds barrier. 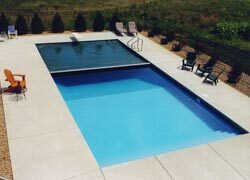 Costa del Sol Pool Maintenance offers professional, English pool cleaning from a company that has been serving families on the Costa del Sol since 1994. Complete pool installation, refurbishment, maintenance and cleaning from Marbella to Sotogrande. Murray Harper is a recommended European Relocation & Storage company that has been established on the Costa del Sol for more than 20 years. It is a family-run business and they conduct the full range of services using in-house resources. deVere Spain is part of one of the world's leading independent financial advisory organisations, with more than $10bn under advice from over 80,000 clients in 100 countries. Sanchez + Beck Abogados is a recommended law firm headquartered in Marbella that offers multi-lingual expertise in civil, criminal, company and real estate law in Spain. MATA Legal & Financial Advisors offer recommended legal & financial services to address the specific needs of family residents and businesses in Marbella and the Costa del Sol. Marbella Translators is a professional company providing translators and interpreters for legal procedures and all your documents and terminology which is ever so important. Sunshine Enterprise Marbella is a full service agency that helps you with everything and anything you need to set up your home or business on the Costa del Sol. Op de Beeck & Worth is an independent insurance broker in Marbella that has 45 years of experience in Spain. As a neutral partner working with many insurance carriers, they can offer the full range of services for your family. ALC Health Insurance provides flexible and cost effective medical cover for your family while living in Spain. ALC offers European-wide coverage for treatment with any hospital and with any doctor. Generali is a major player in the global insurance industry and is represented locally by Quieroseguros in Mijas Costa. 25% Discount for visitors of MarbellaFamilyFun.com. 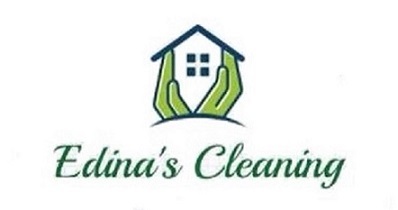 Edina's Cleaning service offers deep cleaning and special requests to anywhere from Fuengirola to Estepona. This company offers comprehensive and professional cleaning from a great team with years of experience. Have a question about Real Estate in Marbella? What is your question about Real Estate in Marbella? Where do expat families live in Marbella? Recommended transport company to ship from Germany to Marbella? Should we move to Marbella from Scotland? Where's the best place in Marbella to live for families? Best place to live with kids in Marbella? Experience with removal companies in Marbella? Hi there, I'm just wondering if anyone has any experience using a removals company called Britany Southern, based in Mijas Costa? We are in the process of moving back to the UK from Marbella. Does anyone know a good removal box supplier in the area. Thank you for you help. Can anyone recommend a good long term apartment rental agency in the Marbella area?